A version of this article was first first published in Tradegood Viewpoints, 6 June 2014. China’s value added tax (VAT) system is one of the most complex in the world and one that requires significant effort to stay on top of its changing environment. Tax experts, such as Ernst and Young, caution that VAT in China can have a real impact on the bottom line and recommend companies with exposure to the China market proactively and strategically manage their VAT operations. The current general VAT rate in China on the sale or import of goods, as well as on providing processing, repair, and installation services is 17%. A lower rate of 13% applies to goods such as paper products, food essentials, and heating products for residential use. Goods sold by certain small-scale taxpayers get a special VAT rate of 6%. While these rates are set by the government, foreign companies should educate themselves on the various exemptions and rebates that are offered. These will vary depending on the industry and whether they are part of a pilot program that started in 2013 in certain major cities and regions, according to LehmanBrown, a China-focused accountancy. China’s VAT is paid at each step in the supply chain as a given product moves toward the end user. For example, in the production and export of toys, VAT is paid during production, when it is sold to a distributor, and when it is resold to a trading company for export. When the toy is exported, there may be a VAT rebate of 0‐17% (depending on the product classification) against the 17% taxes paid. If the VAT rebate for toys is 10%, then 7% stays with the government, while 10% goes back to the exporting company. 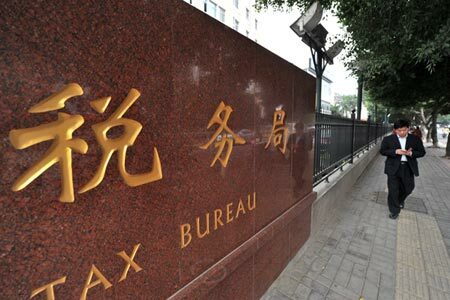 The China Sourcing Information Center says it’s important for foreign buyers to know the VAT rebate amount in order to ascertain a supplier’s true pricing. By comparison, goods exported overseas by China-based trading companies apply what is known as the “Levy First, Refund Later” method. The trading company first pays VAT when it purchases the goods. But when it exports them, the company is not subject to output VAT on the export, and it can then claim part or all of the VAT paid on the purchase. In addition, certain services exported from China that are part of a pilot program are now exempt from VAT. These include: leasing, international transportation, tech transfer, technology consulting, energy management, software, design and testing, business processing management, convention and exhibition, trademark and copyright, IPR, advertising, warehousing, logistics, and certification, verification and consulting. While services imported into China from abroad are subject to VAT, a tax credit can neutralize the cost for the buyer. If the supplier does not have a business establishment in China, then the withholding agent or recipient will pay VAT if they are established or reside in a city or province that has implemented the VAT pilot program. The recipient in these circumstances will generally be entitled to an input VAT credit if they are registered as a general VAT taxpayer, so that VAT does not become a real cost, provided certain documentation requirements are met, says KPMG. While VAT in China is complicated, simply asking your supplier or an accounting expert to outline the VAT rebate rates and processes involved, including whether they are part of the VAT pilot program, can help cut costs and introduce more transparency to your bottom line.